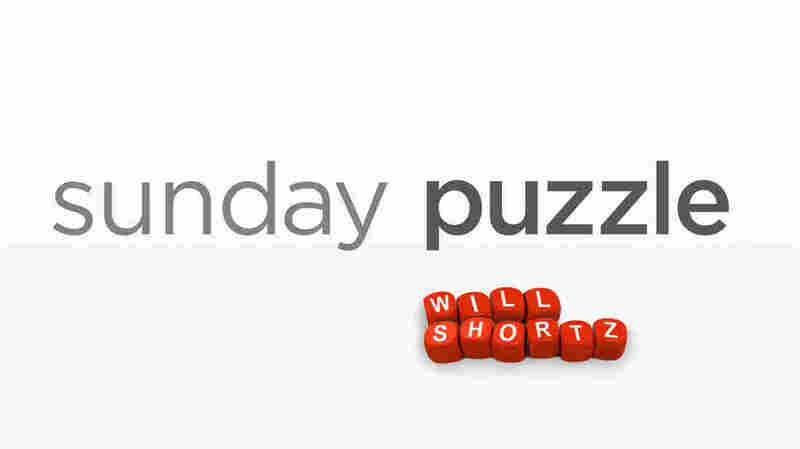 Sunday Puzzle: A Piece Of Cake NPR's Sacha Pfeiffer and Weekend Edition puzzlemaster Will Shortz play a word game with WAMU listener Ryan Saunders of Washington, D.C. If you know the answer to next week's challenge, submit it here. Listeners who submit correct answers win a chance to play the on-air puzzle. Important: Include a phone number where we can reach you by Thursday, April 18 at 3 p.m. ET.